In most businesses it is usually costlier to acquire new customers than retain existing ones. This happens because of possible efficiencies of exchange between buyer and seller. For example it would take much lesser time to explain a product or service to an already existing customer vis-à-vis a new one. A corollary to this also means that losing a customer is disadvantageous, it affects customer acquisition, may spread a negative word of mouth, and harm the future prospects of the business in question. Therefore it is important to quantify existing and potential customer value in order to increase Customer Lifetime Value. This kind of focus would imply that businesses have to change their marketing strategies to move away from being transaction based to becoming relationship-based. They have to be focused on finding what defines value for a customer, and need to develop mechanisms to deliver that value. So What Exactly Do We Mean By CLV? CLV is a prediction of the average value a business can expect to get from its customers during the course of its entire relationship with them. It is variously referred to as lifetime customer value or just lifetime value, and abbreviated as CLV, LCV or LTV. In the business of healthcare, the lifetime value of a patient is all about how much value a patient brings to your practice in the course of his subscribing to your services. And Why is Understanding The CLV Of Your Patients Important? CLV is an excellent indicator of how patient satisfaction boosts your bottom line. A satisfied customer means he is more likely to come back to you and even recommend your practice to others. He becomes a powerful marketing tool. Knowing the CLV will give you an insight into how you can enhance your customer service plans. CLV can help you increase your revenue and profits because with CLV, you can analyze patient behavior pattern and business cycles, to identify and target those customers who promise the largest potential net value over time. CLV helps you determine your ROI for marketing efforts. It will help you decide about how much to invest in acquiring new patients and retaining current patients. Also when you compare CLV across patients, you will realize which ones are the more profitable patients and you can streamline your marketing acquisition and retention efforts in that direction. You need to have the following information to calculate a patient’s lifetime value. What the formula actually reveals is that basically, CLV hinges on how long, on an average, you are able to retain your patients. Patient retention would simply be a function of patient loyalty. Well, branding your hospital is that silver bullet which can really help you increase your patient loyalty and thus increase the lifetime value of your patients. Pretty simple – increase patient loyalty, increase retention, increase your patient lifetime value. Most often branding is misconstrued as marketing or advertising or public relations. Marketing, advertising and PR are in fact the ways that you employ to communicate your brand. To communicate your brand, it’s important that you first build it, make it into a recognizable identity that has a personality, values, and traits. A brand is much more than you logo or slogan, although both of these are what make your brand instantly recognizable. Let's take a look at how branding can influence patient loyalty and drive up patients' lifetime value. Healthcare involves a person-to-person interaction, it is personal and of utmost importance to the person seeking your hospital’s service. When you brand your hospital, your brand is a promise – a promise of what the patient’s expectation is from you. 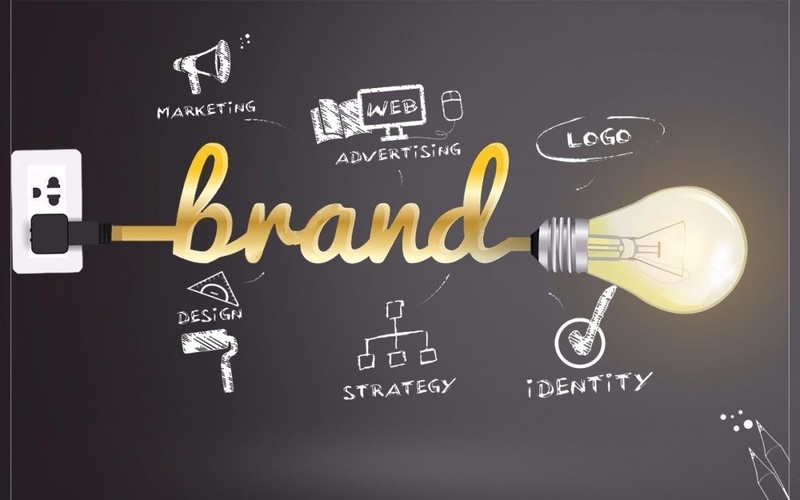 Therefore branding conveys a promise to your patients, which it would have otherwise missed out on. You build a reputation with that promise, reinforcing your patients’ faith and trust in you. Greater faith, greater the chances of the patient to keep coming back to you. Result? Increased CLV! For patients, it is not just the skills of your doctors and the quality of your services but the overall experience that builds a positive image of you in their minds. When you have a well-defined brand, it sets patients’ expectations even before their first visit. The promise that you have conveyed with respect to what your brand is all about, you need to follow it through during the time of your patients’ visit. This makes the patients feel gratified that their expectations have been met. This lays the foundation for a positive, trustworthy relationship. Branding, is all about standing out. It could have to do with your state-of-the-art equipment or a certain speciality care like cardiology or orthopaedics, or post operative care. Whatever be your differentiating factor, it makes a patients feel they are going to the best in the trade and getting their money’s worth. When that happens, patients keep coming back to your hospital as loyal users. Patient loyalty is driven by trust. Healthcare is one of those special fields where trust plays a huge role in the consumer visiting the place over and over. It is understandable that the overall experience, with the doctor and non-medical staff coupled with ease of general movement in and around the hospital, is what will generate trust. But with branding you can take that trust one step further. When your brand your hospital, you undertake a whole lot of activities to inform your patients of how committed you are to their treatment and recovery. This reinforces trust and works as a huge agent to keep your patient coming back to you for any of his healthcare needs. Branding is all about being instantly recognizable, and to make your brand resonate with people. When you brand your hospital you have gained access to talk directly to your patients. Your brand messaging comes across consistently in a planned manner beaming your promise to your patients. When that happens, you have found a hook to your patient’s mind. When your branding makes a direct appeal to your patients, based on what they are looking for, you naturally hit the right cord with them. It’s a world driven by content where patients make informed choices. When brands speak to patients, they are talking of themselves as able resources and not mere service providers. That leads to greater consumer trust and confidence. Just communicating with your patients is not enough. Your communication has to engage your patients and make them respond to certain calls to action. When you brand your hospital, you employ both offline and online means to promote the brand. Digital media gives you immense opportunity to promote your brand to your patients and build further connection. A user-friendly website with engaging relevant content establishes you as an authority in your area of expertise. It propels people to visit your site, to check out on the latest breakthroughs that you have had in your hospital. This gives you a wide reach and again impresses upon your audience that you are the best possible choice for them to visit not just once but in future as well. When you answer patients’ queries online, they see your brand as being genuinely interested in patient care and satisfaction. When you respond to their negative feedback, saying you have taken corrective action, they feel that their opinion is valued. When you ask your patients to put their testimonials on your site, you are actually creating your own army of loyalists who vouch for you. A word of recommendation coming in from a patient furthers other patients’ trust in your brand. Being present on social media is another way your brand is visible to your patients. Share content that is compelling for your patients. Sending out e-newsletters to your patients is another way to stay on top of their minds. It is only natural that patients will return to your hospital if their overall experience has been good. Their experience is the prime aspect of loyalty. It is crucial that you get the experience right but there can be long gaps between the visits of any one patient. And if you think you can build patient loyalty just on the basis of that visit’s experience, you will miss out on the opportunity to engage with them and influence loyalty. Loyalty is a construct, which you have to build through a series of communication with your patients. This communication is created and further fortified when you brand your hospital, thus creating more avenues to foster patient loyalty. With a strong brand, you can communicate consistently with all your audiences, creating the confidence and trust that inspire loyalty. Loyal customers keep coming to you over and over as per their need, giving that much needed fillip to the lifetime value. Branding, therefore, is your answer to increase your patients’ life time value.